The main storyline in Light of Hope is fairly easy to finish. You'll have to finish the main story if you want to get married, upgrade your house, or obtain the higher-level livestock and poultry animals from Sofia. There are also several bridges on your farm that can't be repaired until you finish the story by restoring the lighthouse. Another convienent feature that unlocks after you complete the story is the option to jump to an area on the map. 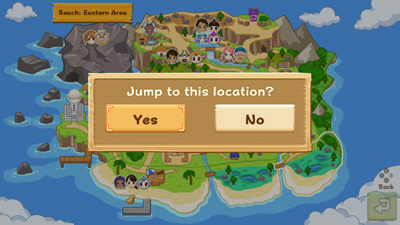 Just open your map screen and move the highlighted spot to where you want to travel to, then press the action button to teleport directly there.